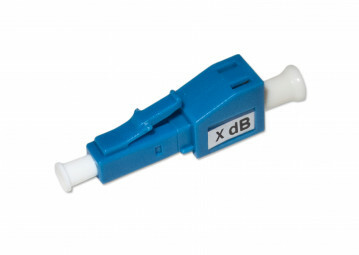 Fixed Optical Attenuator for Singlemode fibers with LC connector. "When in possession of the Flexbox it becomes and indispensable tool in general, and also specifically in managing remote Mobile Base Stations fiber connectivity. Using the Flexbox either with PC or Smartphone is really plug and play with no annoying incompatibility issues at all. The Flexbox together with ease of order and superior delivery times makes it literally unnecessary for us having any significant SFP stock." "We use “FLEXBOX” and “FLEXOPTIX” for a few years now. Since then life is much easier. And even saved me sometimes in the middle of the night. Need a special vendor or type, plug it in, program, and done. Very… but very occasionally a compatibility is not present in the system. Just drop a e-mail to support with your needs to get an immediate response from “JIRA – the flexoptix robot” and your compatibility is added to your FLEXBOX within 24 hours. Just awesome!!" "Have been using FLEXOPTIX transceivers for a few years now in a carrier/telecoms environment for various vendors and they've never disappointed me. After having the opportunity to be able to program them myself on demand, I've realized how many hours I could have saved until now with FLEXBOX! No large stocks, just a few generic SFPs in stock waiting to get programmed when needed. Awesome!"